“Pablo Picasso was walking down the street in Paris one day when a woman recognized him and approached him. After introducing herself and praising his work, she asked him if he would consider drawing her portrait and offered to pay him for the piece. The above excerpt hit home with me in several ways. As a fee-only financial advisor, there is something to be learned here. Time is subjective. While the lady in the story felt slighted because of how quickly Picasso was able to complete the task, the time Picasso spent honing his craft was never considered. The lady was dealing with the here and now. I often feel many folks (especially those who are not clients and haven’t worked in a disciplined manner towards financial security) are only concerned about the here and now when it comes to personal finances. 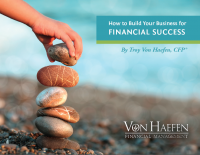 Developing a solid financial foundation can take time, and patience, along with prudence, is certainly needed. I suppose this goes without saying, but in today’s “I want it now” society we need to be reminded. Matthew Kelly goes on to state, “life is the fruit of discipline, or lack thereof.” Boy, does that ring true? Financial security requires discipline and time. A solid financial plan can help us reach our financial goals. But, can a solid financial plan help us find happiness? Can money buy happiness? While I do believe that money can help facilitate experiences that make us happy, I also feel money without goals and values can lead to emptiness. The key is to align our financial goals with our values. 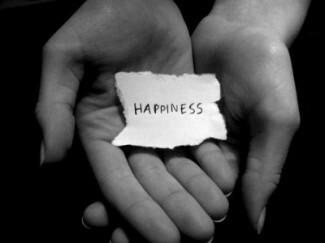 Determine what truly makes you happy and wrap your financial goals around those ideas. Are your financial goals materialistically based or happiness based? Create your financial goals around your happiness, and your success rate will increase. While Picasso was one of the most influential artists of the 20th century, his personal life was fraught with unhappiness. He understood artistry on many levels, but he struggled to find true happiness. We should focus our financial planning on goals that create happiness (retire early so I can spend more time with my children and grandchildren) and not on materialistic goals (I simply want more money or a bigger house). When our goals and values are in sync, we can paint our own masterpiece. This entry was posted in Fee-Only Financial Planning, Financial Planning. Bookmark the permalink.